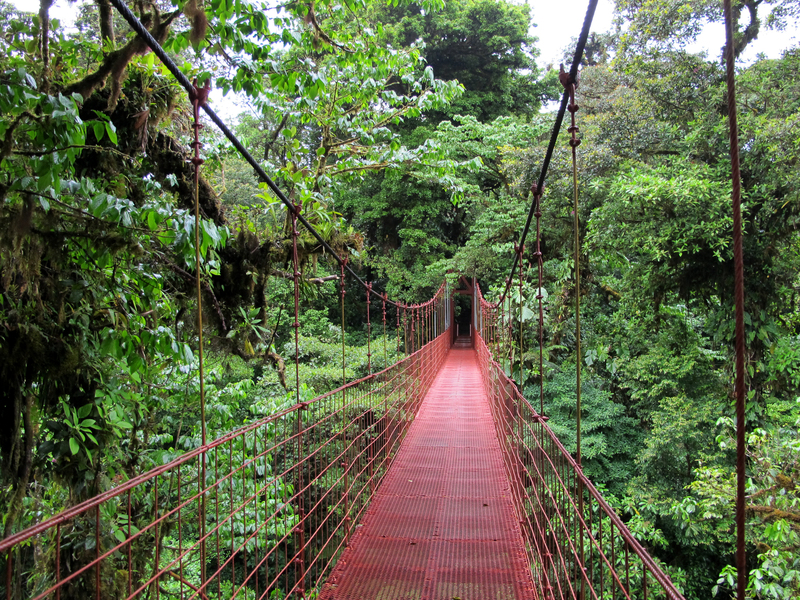 Experience a truly memorable natural environment at Monteverde Cloud Forest Biological Reserve. The lush, protected, and diverse 5,000 ha (12,355 ac) contains a staggering 2.5% of the planet's biomass, with a considerable amount of life being endemic to the park. You have the opportunity to independently traverse 13 km (8 mi) of jungle trails, trying to spot any one of the 500 species of birdlife that live in the canopy. Alternatively, consider hiring a guide for an indispensable and enlightening lesson into the amazing ecology of the reserve. Be sure to try the restaurant and stop in the gift shop after exploring the natural wonder. 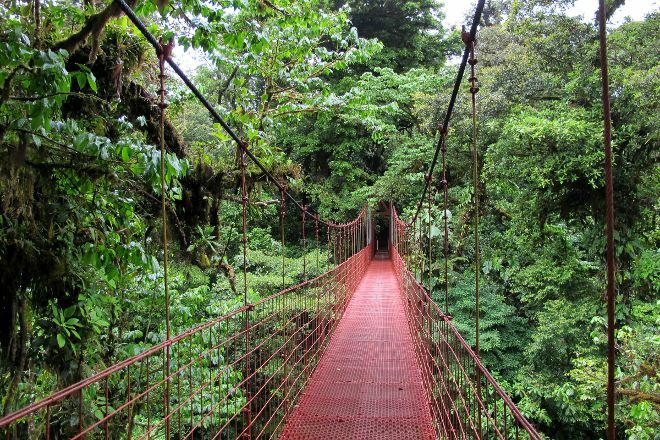 Work out when and for how long to visit Monteverde Cloud Forest Biological Reserve and other Monteverde attractions using our handy Monteverde travel planning site . It's a nice place to see people looking at birds. Bit steep to charge 22 dollars for admission. Don't bother getting a tour guide as they are large, slow groups that stop for just about every bird in the forest. Just walk the trails and you will pass all the tour groups and can see what they are looking at. Saw several birds, interesting plants, and a patch of fur way up in a tree that was a sloth. Not overly exciting but worth checking out at least once. This place is amazing, it's like a dream, and they feed you excellent food, too. We got to stay in bunk beds during our trip and while we were there there so happen to be a lemur chillin outside on our roof. It was a great view of the forest. I definitely recommend staying here.